Applicants are invited to apply for a PhD position in neurosurgery at The University of Queensland. The initial contract for this position is three years. Candidates are welcome before March 31, 2019. Established in 2003, QBI (http://www.qbi.uq.edu.au) is situated on the St Lucia campus of UQ. It is home to more than 450 staff and students, including 41 group leaders, working across a range of disciplines, who are focused on discovering the fundamental mechanisms that regulate brain development and function in health and disease. Over the past decade QBI has become known as one of the world's leading neuroscience research institutes. It played a key role in contributing to UQ attaining the highest possible score of 5 for neuroscience, in the 2010, 2012 and 2015 Excellence in Research for Australia (ERA) reviews, one of only two universities in Australia to achieve this. The Functional Neuroimaging and Trauma Laboratory is a new lab led by Dr Fatima Nasrallah. The laboratory focuses on developing multimodality methods to understand brain function. In particular, the interest is to apply MRI methods especially resting state connectivity in the understanding of traumatic brain injury. The methods combined will allow mapping of structural, functional, metabolic and molecular changes in the brain in an attempt to cross-link imaging metrics with behavioural measures and protein biomarkers shedding insight into the pathophysiology of TBI and its possible likelihood of fast-forwarding the onset of dementia. The scope of the research will include the: (i) development and validation of animal models of TBI, (ii) development of specific imaging tools and diagnostic molecular biomarkers of brain injury and dementia, and (iii) translation of novel imaging tools and biomarkers to clinical investigations. 1. Mapping the functional connectome: a window into understanding the injured brain. Resting state functional connectivity using fMRI has become an important tool in examining differences in brain activity between patient and healthy populations. It describes interregional correlations across the brain and has gained prominence in recent years not only for its usefulness in highlighting several functional neural networks of the brain, but also for identifying neuroimaging biomarkers of a disorder. This work will focus on understanding the functional connectome in the brain and how the temporal profile of these brain networks change over time following injury. This will also provide predictive markers of patient outcome and provide a diagnostic means of intervention for preventative measures of long term consequences. The candidate will gain a wide experience in multimodality imaging methods, data analysis of imaging data, and translational experience between the bench and bedside. Traumatic brain injury affects a significant number of patients worldwide. While the long-term consequences of head trauma are not fully known, recent evidence suggests that even a mild head injury can increase the risk of later-in-life development of dementias such as Alzheimer's disease. By defining the cascade of events that occurs after a brain injury, we ultimately hope to discover ways to disrupt that process. Our goal is to uncover the biology that underlies the link between head injury and dementia. The work will involve MRI-PET imaging of patients with traumatic brain injury and the longitudinal assessment of these patients longitudinally. Preclinical investigations will run parallel in a brain injury rodent model to bridge the gap between the bench and bedside. Therefore, this work will explore possible early biomarkers of head injury which could be used subsequently in the clinic. Skills developed during the doctoral studies will include: neurosurgery, histological analysis, multimodality imaging i.e. MRI, PET and behavioural experiments. Applicants will have a First Class Honours degree or equivalent and should be eligible for an Australian Postgraduate Award (APA) or equivalent. Basic expertise and experience is required in biological sciences or biomedical engineering, and students with experience in neuroscience or imaging are especially encouraged to apply. Experience with programming in Matlab or C/C++ and with SPM/FSL is a must. Applicants must fulfil the PhD admission criteria for the University of Queensland, including meeting English language requirements, and demonstrating excellent capacity and potential for research. Demonstration of research ability through publication output in peer reviewed international journals is desirable. For further information on entry requirements, please visit http://www.uq.edu.au/grad-school/our-research-degrees. Successful applicants must accept and commence within 6 months of receiving an award. Selected prospective international and domestic students will receive assistance to apply for University living allowance and tuition fee scholarships. The 2019 Research Training Program (RTP) living allowance stipend rate is AUD$27,596 per annum (indexed annually), which is tax-free for three years with two possible extensions of up to 6 months each in approved circumstances (conditions apply). For further information on scholarships refer to: http://www.uq.edu.au/grad-school/scholarships-and-fees. To discuss this role and for further information, please contact Dr Fatima Nasrallah (f.nasrallah@uq.edu.au). If successful, you will be instructed to submit an application to the Graduate School for admission. Please note the different application closing dates below for international and domestic candidates leading up to the UQ Graduate School research higher degree application and scholarship round timelines. Important: please do not send your EOI directly to the contact person listed in this section of the advertisement. EOIs not received via the UQ Jobs online system will not be considered. International candidates: 23rd Febuary 2019 - for consideration in relation to the next available UQ international scholarship round with commencement in Research Quarter 3 (July) 2019. 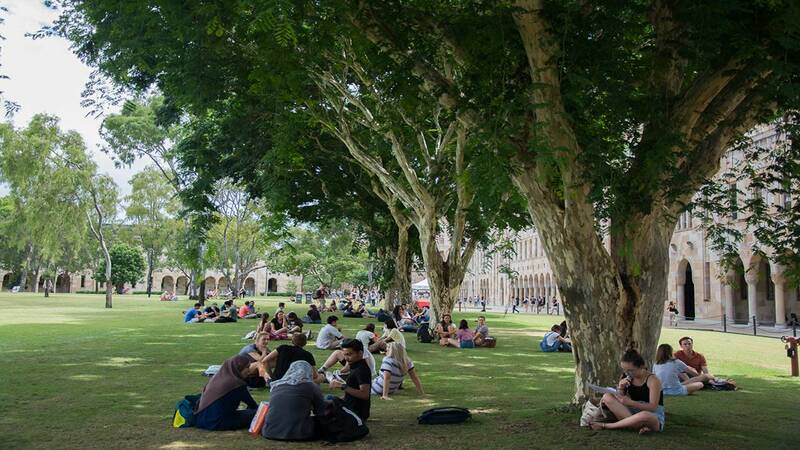 Domestic candidates: 31st March 2019 - for consideration in relation to the next UQ domestic scholarship round with commencement in Research Quarter 3 (July) 2019.